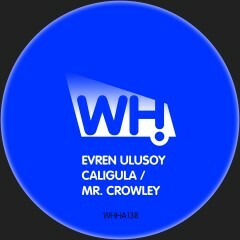 Evren Ulusoy is a Turkish producer, DJ, radio host and record label owner based in Istanbul. He has released hundreds of tracks with some very respectable labels so far including a former #1 in the deep house chart on Beatport. This release follows up from last year’s massive The Encounter EP. Great quality as you would expect from Evren. Caligula gets things going while Mr. Crowley is the second of the two originals. Mallorcan legend Frink brings the heat with his hot remix of Mr. Crowley, which rounds off the EP nicely.